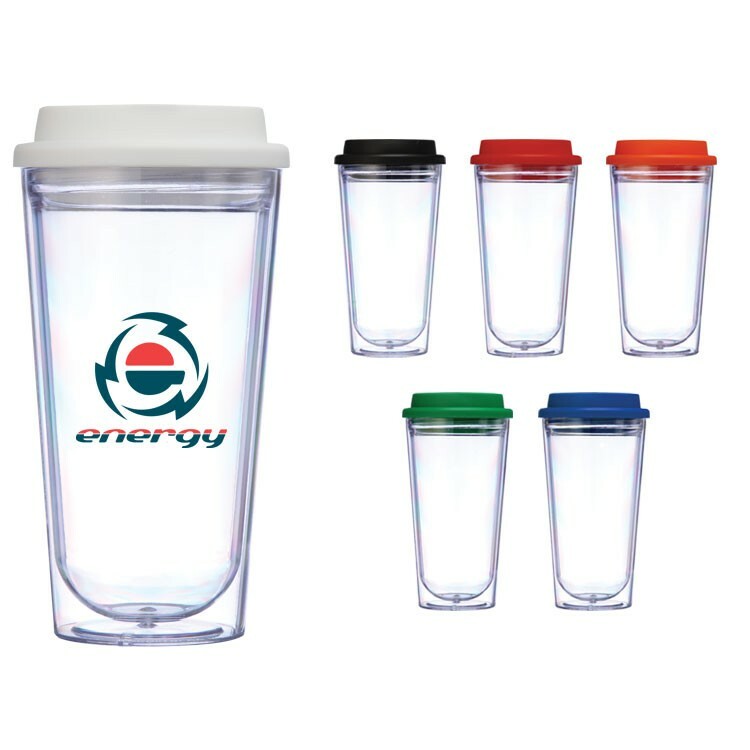 Metro 16 oz Clear Acrylic Tumbler. Acrylic Inner and outer shell. Dual wall insulation. Screw on drink through lid. Convenient, sleek design fits most cup holders. BPA Free. Dimensions: 7" x 3.25". One color imprint. Choose one side, two sides, or wrap.